Aditya Vikram Sengupta’s debut film Asha Jaoar Majhe (Labour of Love) is a deceptively simple, ingenuous film about a single day and night in the lives of a married couple. In the film, neither of the two characters are able to sleep properly. Early in the morning, the woman leaves for her job as a supervisor in a bag factory. The man is at home, resting after a nightlong shift at a printing press. There is a musical, coupled rhythm to their interplay even though they barely get to be with each other—he soaks the clothes in soapy water that she later washes, and then he hangs them out to dry. She cooks the fish and vegetables and rice that he later eats for lunch and she eats roti-sabzi from a tiffin box that he puts in the fridge. Without meeting each other, they seem to have a conversation about how she puts less salt and he defiantly sprinkles salt on top of macher jhol and rice that she has left for him. Basabdutta Chatterjee in Aditya Vikram Sengupta’s Asha Jaoar Majhe. They both have jobs that are exhausting and consume most of their lives and energy, and yet when either seems to reach a point of rest, it is truncated or disturbed. Serenity escapes both when they lie down, neither is able to sleep because of a noisy fan or the intrusive light of the day through the window, or somehow when the sounds of his printing press enter her dreams at night. Both of them try to call each other on a mobile phone that is kept under a pillow in the house, but are too exhausted to actually pick it up and talk. A tranquility is found only between the beats of the necessary tasks of working, cooking, eating, and walking—like when mustard oil seeps and fills up a pan, or when a cold, orange sun sets gradually across a grey-blue evening sky while they commute either to or from work. I have a fondness for films that force us suddenly to do things that we perhaps have more or less forgotten to do in our lives, like watch the sun rise or set, or listen to the water evaporate in the heat of a pan, or observe the chaotic yet perfect pattern of birds flying away from a noisy local train. The man aches for the woman. His relatively quiet day is soaked in the longing shehnai strains of Bismillah Khan. The rhythm of their lives is so economical and solitary that it seems impossible to imagine that there is an outside world, beyond the impact that it has on their lives. Presumably they both have a day off and perhaps that is what we get a glimpse of in their one shared cup of chai in the morning. The scene is magically transformed to one with a teakwood bed in the misty hills—again, between tasks, between coming and going, there is a tentative, shared calm. The film perhaps forces us to ask questions about what we do with love in our lives: does it become more precious and gracious and beautiful when modern life overwhelms and confronts us with difficulties, or does love become just another in a long series of tasks? 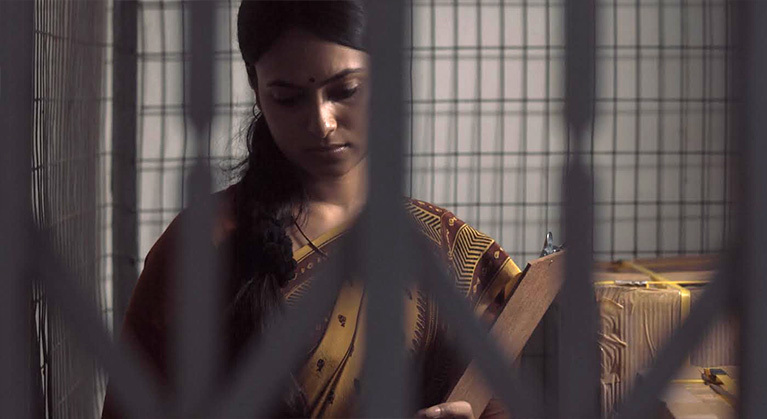 When I spoke to Sengupta about the film, I began with what struck me most about it—the layered sounds that slowly immerse the audience into a different yet ordinary world. Even when the hushed tones of music are audible, they are heard through the ambient sounds of the city and the home. Sounds play an important role in the film even though there are no words or dialogues. Was that a conscious choice? My writing process for the film did not separate the elements of visuals, sounds, and words. In the process of writing the script, I wrote it all down, including the images and sounds that I wanted. As a trained musician, I have a strong affinity to sound and I paid attention to the music I used in the film. There are Hemant Kumar songs that evoke nostalgia for black-and-white early Bengali cinema and occasionally classical music like Bismillah Khan. Early Bengali cinema is particularly close to my heart. Certain songs made me feel a certain way and I wanted that to be part of the film. But in the editing process we changed some things—songs that didn’t quite work were replaced by others in an attempt to capture a specific mood. People have probably mentioned to you that your film reminds them of Jia Zhangke’s Still Life or Tsai Ming Liang’s films. Were these filmmakers an influence for you? Oddly, many of these filmmakers I have heard about only after having made my film, and especially about their similarity to Asha Jaoar Majhe. For me, my immediate source or inspiration was something much closer. It was the people and characters I had seen growing up as a child, especially my parents and how they lived and related to each other. I was used to seeing the expression of love through mundane objects and that is what the film is about for me. You chose to set the film at a particular point in 2008-2009 during a global recession that also had an impact on Kolkata. Did you have any reasons in particular for doing that? I am struck by how old Kolkata is actually stuck in a time that is out of step with other aspects of modernity. Parts of Kolkata are still in the 1950s, but also many old houses are now in ruins. There is an incongruity between modern and traditional elements that is a part of how we live and it is something that I wanted to show in the film. There is definitely a sense of nostalgia in the film for this old Kolkata, and at the same time the representation that is in the film of these two people’s lives and how they are impacted by the realities of recession and the lack of jobs is real and contemporary. How was this film made possible? How did you make it happen? 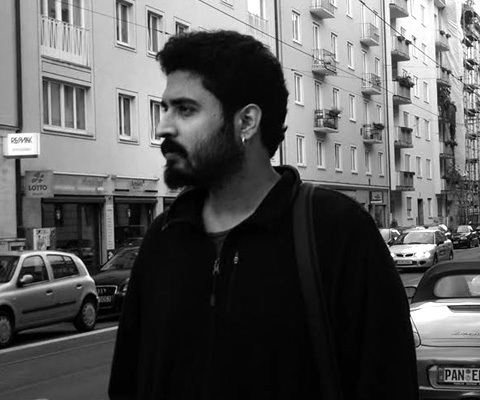 I’ve worked at Channel [V] as a producer and on advertising films. I wanted to make Asha Jaoar Majhe, and for a long time I was looking for a producer. At some point I realised that there is no point in wasting time doing that and so I made the film with what I had saved up. It has been a very rewarding experience; the film has travelled far and wide. It has been screened in over 50 festivals and won 12 awards. People everywhere have warmed to the film and it has received awards for best film, director, and sound design. It is currently running in Kolkata in multiplexes to sizeable crowds and in other multiplexes around the country. We distributed the film ourselves. It is likely to be seen next in the International Film Festival in India (I.F.F.I). If you could give once piece of advice to aspiring independent filmmakers in India, what would it be? I would say that honesty is very important when you make a film, and that honesty is also with oneself; it cannot be about what audience the film is catering to. Namita is a writer who occasionally experiments with making films, usually not successfully. She lives in Bangalore and divides her time between Koshy's and rest of the world. By Nisha Rawat · In conversation with singer-songwriter Shantanu Pandit about his debut EP, comparisons to Bob Dylan, and his take on the indie music scene in India.